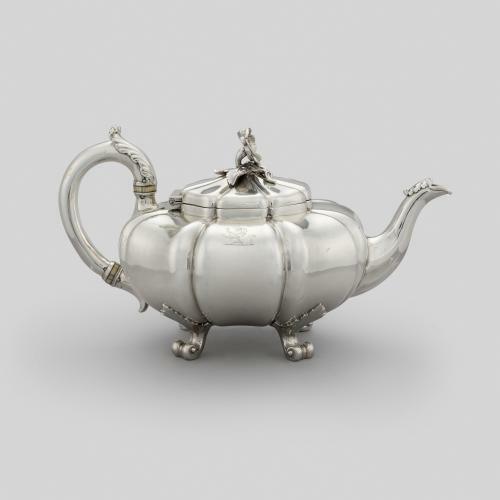 This kettle and stand, made by Mortimer & Hunt, is decorated in the rococo style which underwent a revival in the early 19th century. 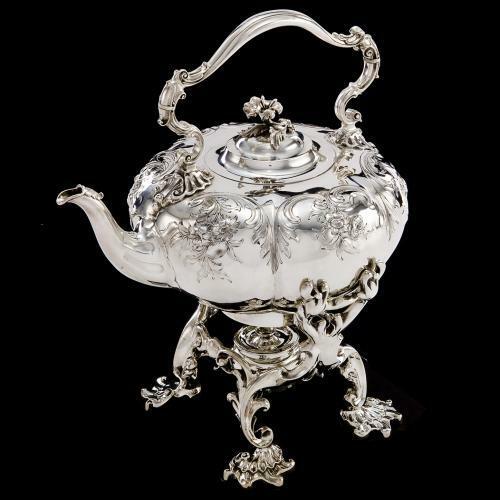 With it’s ornate decoration and bulbous forms, rococo silver became very fashionable despite crtiticism by a Select Committee formed in 1835-36 to establish what should be considered ‘good design’. 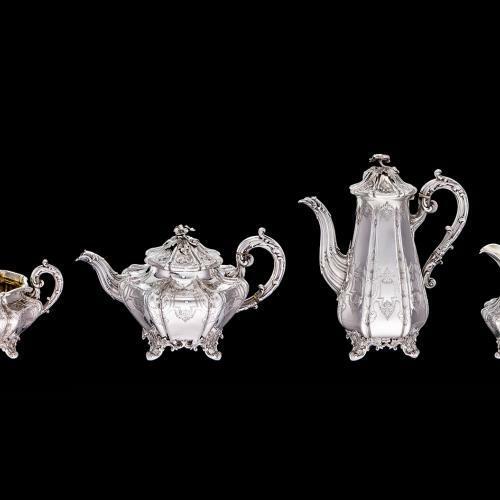 The firm of Mortimer & Hunt operated between 1839 and 1843, and was part of the evolution of an earlier firm created in 1822 when the renowned silversmith Paul Storr went into business with John Mortimer. John Samuel Hunt was a silver chaser and Storr’s nephew by marriage, and became a partner in 1839 shortly before Storr’s retirement. The firm later continued as ‘Hunt & Roskell’.